I just knew on Saturday that I needed to get out of the house for the day, so my mom and I packed up the car for an impromptu day trip and headed out. 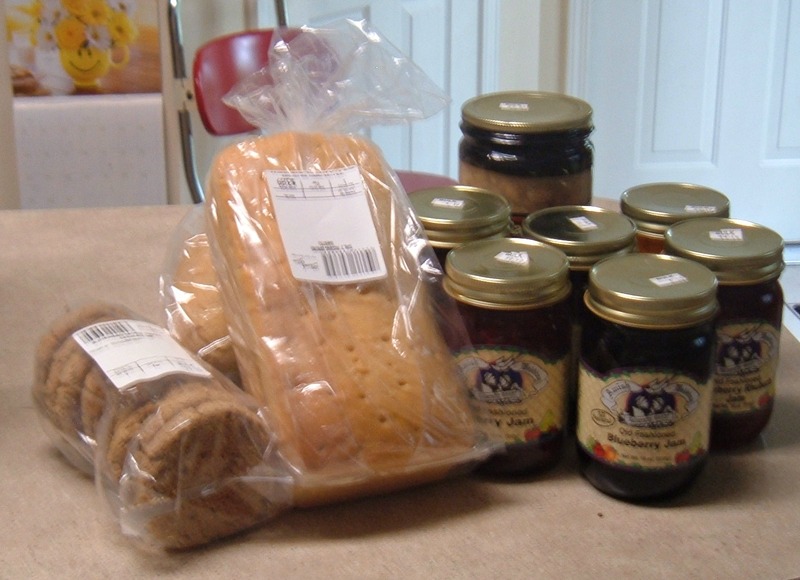 We had heard that there was a new Amish market and bakery that had opened near Perryville, Kentucky, which is a little over an hour down the road from us, so we decided to check it out. I have been reading a lot of Amish fiction and mystery books over the last few months, and their baked goods sounded really good to me. The day started off sunny and hot, but just as we pulled into the market, a rain storm came up. It was raining so hard, that I didn't get any photos of the market, and I know enough about the Amish to not take any photographs of the people. I did take a picture of some of our purchases. We brought home a nice selection of homemade jams, two types of fresh bread, pickled beets (for my mom, I hate them), homemade canned soup, cookies, and fresh fudge. Hey, where's the fudge? By the time we left, we were starving and needed to find a place for lunch. I loved this barbecue place on the side of the road. Grizzly's was cooking up some amazing smelling barbecue, and even though the rain had stopped, the dining facilities were somewhat lacking, so we continued on down the road. 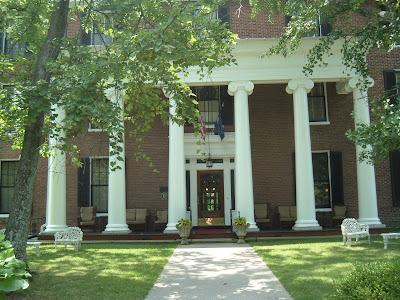 Ahhhhh, there is always the Beaumont Inn in Harrodsburg. 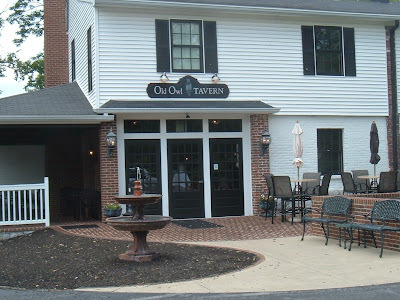 A bad meal has never been served at the Beaumont Inn, and even though they have stopped serving lunch on Saturdays in the main dining room, we found the same menu in their charming new Old Owl Tavern. Yellow leg fried chicken, fresh green beans homemade rolls and cornbread, and tossed salad with the best ever thousand island dressing was enough food to last for quite awhile. Seriously, when you leave there you feel like you need to walk the 30 miles home. The perfect ending to the day was a nice siesta while it rained outside. OOO, another road trip. At one of our shows, a lovely Mennonite bakery does the sandwiches, pies and homemade soups. What delicious food. But, you had me at the BBQ stand. I love a wonderful bakery! 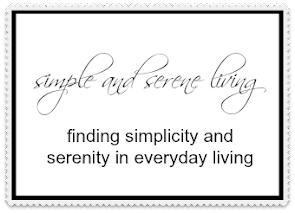 A few years ago we drove our motorhome through Amish Country in Ohio and we had the fridge and freezer crammed with homemade bread and cheese...on and pastries! Everything was so delicious! Looks like you had a fun day and have some goodies to enjoy, too! That looked like a fun day. And lots of yummy stuff! Wonderful day trip and with much needed rain. How are the goodies your brought home? What a wonderful outing!! Love the photos of the inn. Sounds like a perfect outing to me! I love a road trip & yours looks like a fun one! Nice you and your mom could take a little drive. The little roadside barbecue place was cute. 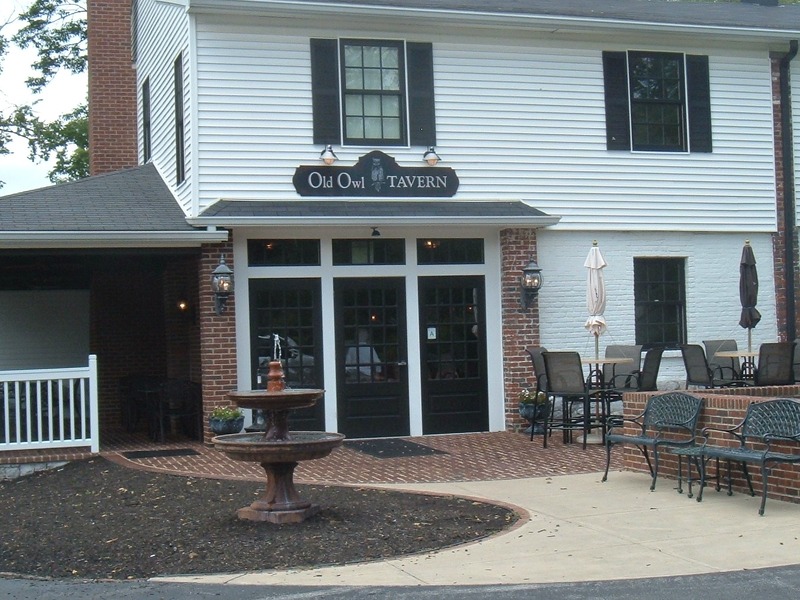 I think I would like the Old Owl Tavern better though. Glad you had rain. I wish we could get some. That sounds like the most wonderful time, lunch and fudge...sigh. I love to do day trips seems seeing the things close around us sometimes make for the best times.